Our culture is obsessed with talent. We idolize athletes, singers, and actors. We celebrate winners and troll losers on social media. Naturally, when we are looking for someone to join our team, company, or school, we look for the most talented. However, talent distracts us from the true indicator of success: grit. Many times the most talented quit or fail. Sometimes this is because they have been coddled because of their talent and not receptive to the feedback that will help them improve. Other times they think they don't have to improve because they are so talented. While grit might sound ambiguous or like a characteristic that some people have and others don't, fortunately, you can grow grit in yourself and others. If you (or someone you know) is going through a challenge, it will help if you can find something about the challenge that's interesting. You may have to find an area of interest for yourself. If you're familiar with the book Outliers by Malcolm Gladwell, you may know that becoming an expert at anything takes about 10 years or 10,000 hours. Grit is consistent with this finding, but adds a layer of challenge. In high school, my coaches used to say "Practice doesn't make perfect, perfect practice makes perfect." It's not just spending time, it's working to improve during that time. Put another way, I hope to be able to be able to run a mile and a half in 12 minutes. I'm not there yet, but my times are improving. I have to keep practicing, but I also have to celebrate each second by which I improve my time and push myself to shave off additional seconds off my time every day. Seconds add up to minutes, after all. Purpose is another important component of grit. If you find purpose in what you do, you will keep trying when it gets difficult. As an educator, I find purpose in making a difference in the lives of my students so I don't complain about the challenges that come with that responsibility. I would think people who serve as soldiers, police officers, pastors, or fire fighters deal with the challenges of those jobs when they could make more money doing other jobs because they find purpose in their work. Do have hope that things will get better if you keep trying? If you don't, you'll probably quit. If you do, you're more likely to keep trying until you reach your goal. As a parent, I obviously want my child to be successful in achieving her life's purpose. While it's easy to tell her how great she is all the time, I have to remember that doing so isn't really helping her to achieve that goal. Going back to an earlier point, I need to encourage growth and effort instead of talent. If she struggles in some area, telling her she's great is dishonest and not helpful. In addition, I don't want her to learn that if she is not meeting the standard today, that she will always be below standard. Also, getting her used to receiving positive feedback will help her improve. I can can be supportive while still providing constructive and honest feedback. That way she'll know what to do with feedback in the workplace or in school. I can also help her develop grit by reinforcing the importance of keeping her commitments. If she wants to join a team or participate in another activity, she will need to continue to do so when times get difficult. This will teach her how to manage multiple commitments and manage her time effectively. If you supervise others, you can help your team members develop grit by providing effective feedback and a growth plan. Also create a culture where growth plans aren't viewed as punitive. 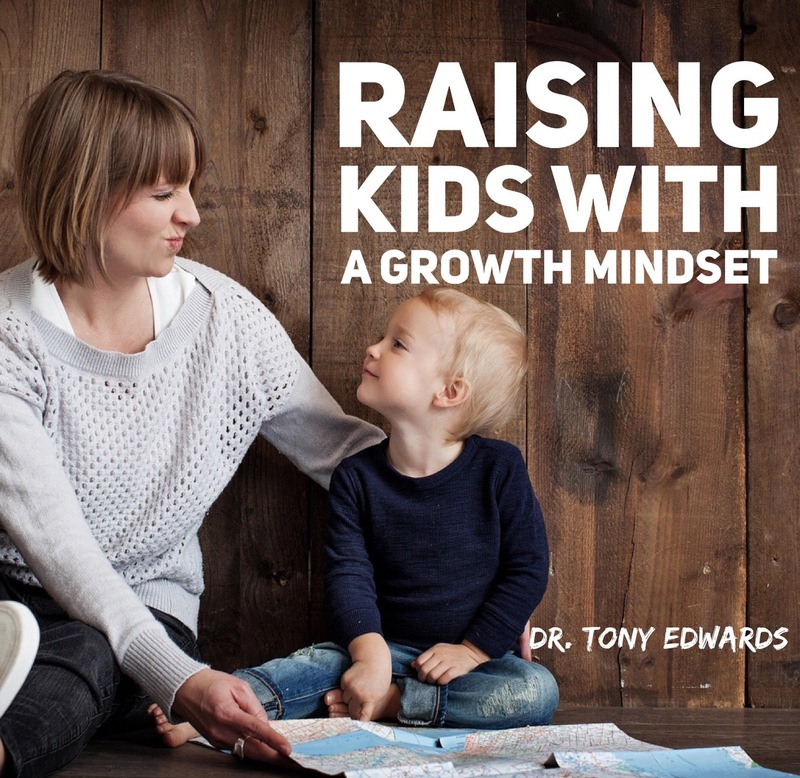 You can also develop grit in people you don't lead through your influence by modeling and communicating principles of grit and growth mindset, which I discuss in a related post. How do you handle life's challenges? How do you develop grit in others? Many social media managers have seen Facebook engagement decrease as the Facebook algorithm began to favor posts from individuals over posts from pages. How can you turn this challenge into an opportunity for your church? Answer: Facebook Groups! 1. Individuals join Facebook Groups instead of pages so Facebook's algorithm values the posts of group members. 2. Allows your Facebook Page to focus on turning potential visitors into visitors and guests into members while allowing your Facebook Group to focus on turning members into disciples. 3. Group members are notified of all group posts. Even if people follow your Facebook page, many of them will not see your posts. 4. Group members can create posts as well. How does your church use Facebook Groups or other social media tools to increase engagement and promote discipleship? Jesus came near and spoke to them, “I’ve received all authority in heaven and on earth. Therefore, go and make disciples of all nations, baptizing them in the name of the Father, and of the Son, and of the Holy Spirit, teaching them to obey everything that I’ve commanded you. Look, I myself will be with you every day until the end of this present age.” - Matthew 28:18-20 (CEB). We are not intended to walk with God alone. You can’t make disciples without interacting with others. 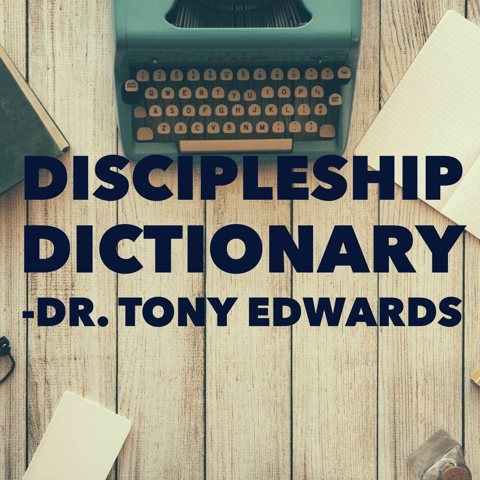 Every member of the Body of Christ has unique spiritual gifts, and the Body of Christ needs your gifts to help us be more effective at making disciples. 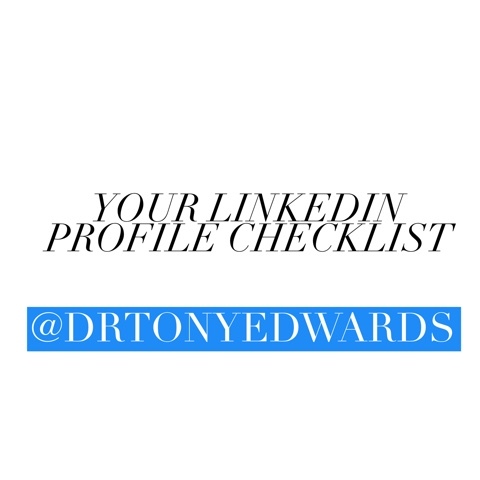 Use this list to get your LinkedIn profile ready. The more informative your profile, the easier it will be for employers to find you. Who are you trying to reach with your church's social media posts? Members? Future members? Both? While you can use the same accounts to communicate with different audiences, you might consider creating different accounts to communicate with people at different stages of the discipleship journey. For example, with Facebook you could have an inward-facing Facebook group focused on helping members grow as disciples. You could then use your church Facebook page to focus on the people in your community outside your church. 1. Make a list of challenges people face, including (but not limited to) anxiety, depression, debt, marriage, and parenting. 2. Use a title that will draw readers in, but not overwhelm readers who have limited biblical knowledge. 3. Show people how God's word can help people overcome their challenges. 4. Include a call to action for people to communicate their progress with your tips or subscribe to get more information from you by email. 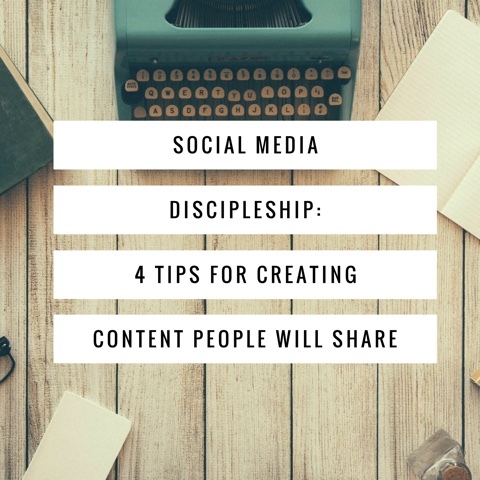 Following these tips will help you create content your members will share so they can share God within their spheres of influence. This will allow them to engage in conversations about God with their friends more comfortably and naturally. What tips for social media evangelism would you add? Believe it or not, I don't think you need to shout from the rooftops or make all your friends feel awkward or ashamed to be an effective evangelist. In many ways, I think evangelism is very similar to marketing. Not in the sense that we treat church like a business or people like customers, but I do think we can all more effectively communicate the message of Jesus Christ. If done right, you can communicated a way that makes people want to ask you questions to learn about God rather than telling people who aren't ready or have no interest yet. You can also grow in your witness by starting within your sphere of influence and then expanding your sphere of influence. What other ideas do you have for sharing your witness with others? 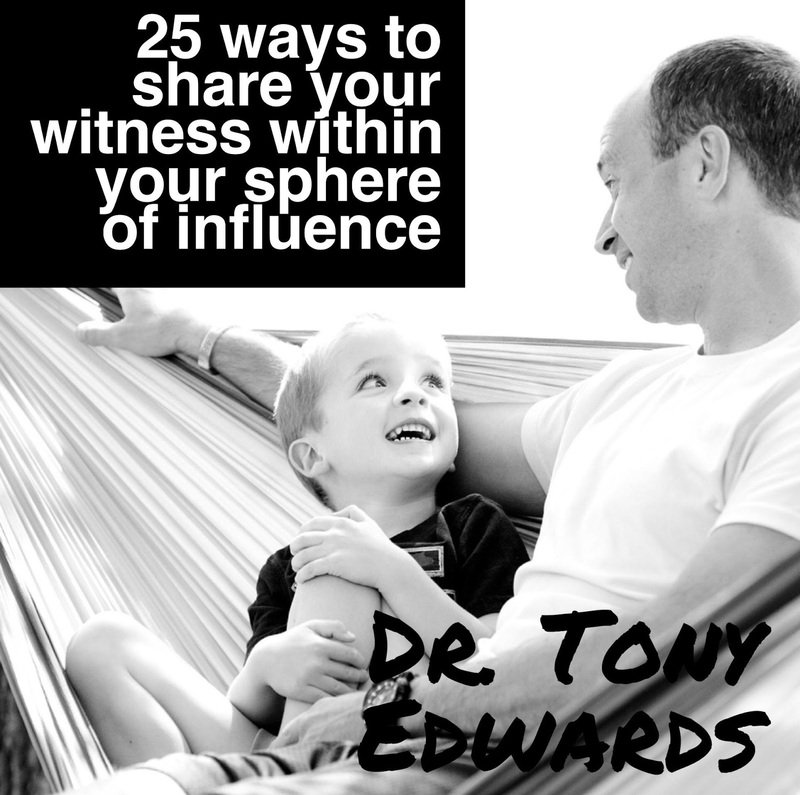 How can you more effectively witness to those in your sphere of influence?